Jon Aaron is a young man of Many talents and trades(of sorts). 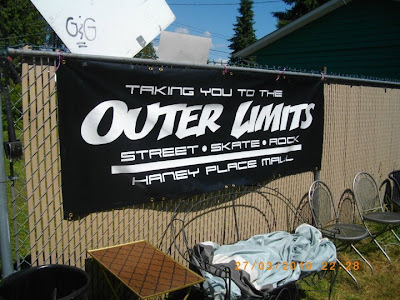 He is also Assistant Manager of "Outer Limits" a skate shop in Haney Place Mall in Maple Ridge BC. 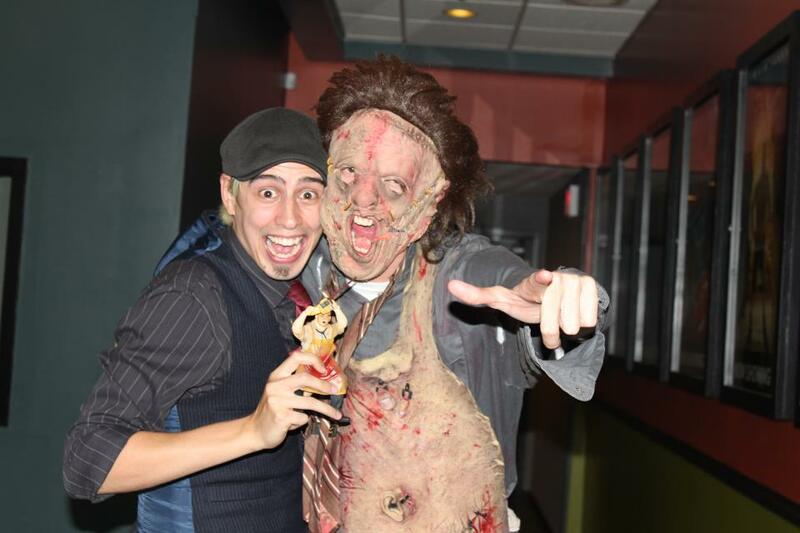 Horrorshow takes place the last friday of each month at Hollywood 3 Cinemas in Pitt Meadows. 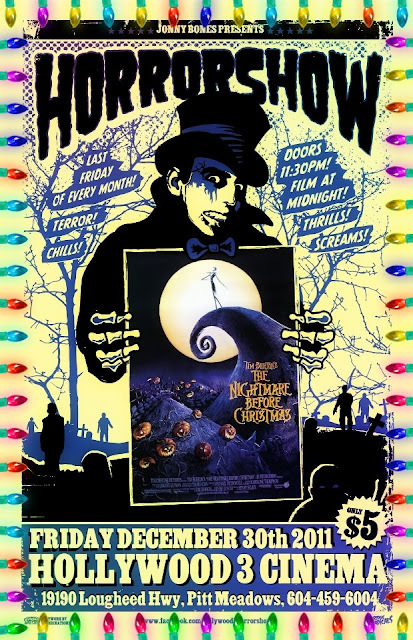 This months feature is "The Nightmare Before Christmas" Tim Burton's great flick, he has had a few complaints that it is after Christmas and not before, but that is the agreement he has with the Cinema Management and the time slot is after all the scheduled films have played.The turnout for the last 2 shows was low lets support him and try and get there this month. (Dec 22 2011)so tune in and enjoy the music, also the hosts. We had a great little chat when Jon stopped by the house and we talked about a great many things esp Punk Rock and things of that nature, he is a very pastionate young man and it was nice chatting with him. It makes me feel good to talk to a young man that has so much knowledge of the world around him, he surrounds himself with people that care for him and he for others. This is when he played "Texas Chainsaw Massacre"(1974) at the Horrorshow and a friend dressed as Leatherface.Below is links to Bone Daddies sites where you can hear some of their music. Great group of guys. Let me know if you like what you hear. 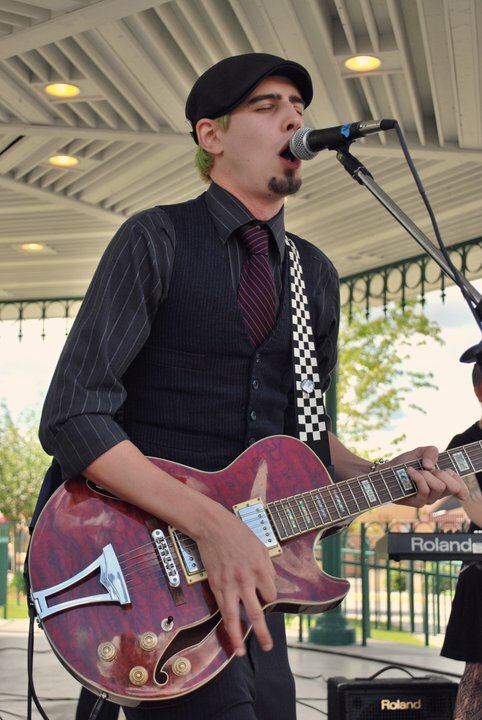 I REALLY enjoy listening to "The Warden" great song!! What day on the tour is it for the Bone Daddies? 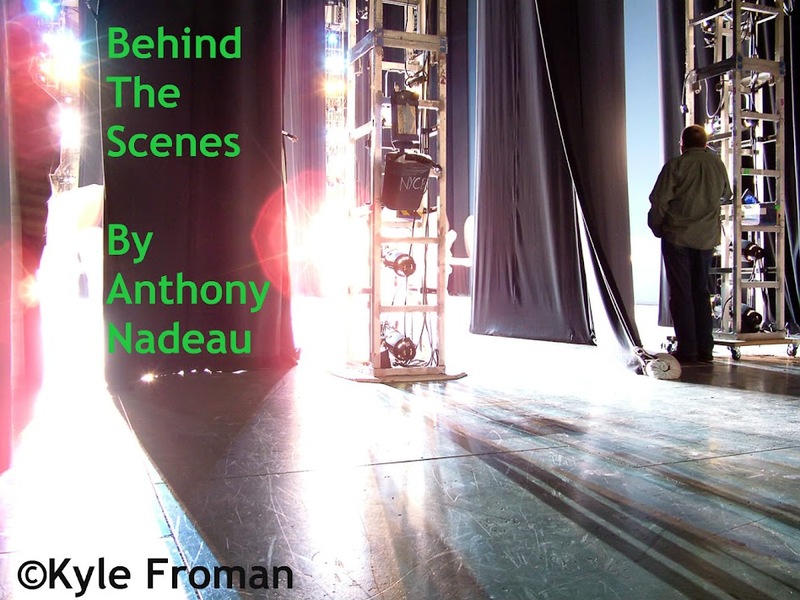 Email behindthescenesanthony@hotmail.ca with name, address etc and the answer, I will pick winners in the New Year.